Je m'appelle Tim et j'ai le plaisir de vous proposer un séjour dans la maison de vacances familiale située au bord de la plage - c'est l'oasis de notre famille. Amenez la famille ainsi que vos amis pour passer la nuit dans notre charmant, bien aménagées maison de plage. Situé sur 3/4 d'acre et butant 65 acres Citation réserve, vous pourrez vous détendre dès que vous marchez dans et Enquête sur les vue sur la réserve de la cuisine. Le balcon magnifique, ombragé légèrement par des feuilles tachetées de James Stirling et Silver Birch, a été le cadre pour le dîner du soir parti beaucoup un de l'été. Promenade à la plage sur la promenade de l'estuaire. A 20 minutes à pied des commerces Mt Martha et la plage le long de la promenade Balcombe Creek est la meilleure façon de commencer la journée de personne! Si vous avez besoin un peu d'exercice, ou tout simplement un peu de paix et de solitude, la promenade est un endroit merveilleux pour marcher et catchup avec vos pensées, ou tout simplement marcher le chien loin de l'agitation et du bruit! Vous pouvez écouter les oiseaux sur le pont au petit déjeuner, ou regarder les kookaburra de sur le balcon qui entoure toute la maison. La propriété dispose de 3 lits Queen, tous les nouveaux ou près de nouveau, 2 lits superposés pour les enfants, un simple matelas de rechange pour les amis d'enfants, et une très grande chambre des maîtres. Nous avons eu beaucoup de clients de plus de 7 ans, et ils ont tous dit à quel point notre retraite paisible est. We recently spent 6 nights here with our 2 golden retrievers. The property is in a beautiful, peaceful part of Mount Martha and very secuely fenced. The house was comfortable and warm. Tim was fantasic to deal with. We are looking to move to the area and it was a perfect place to explore from. If you are a dog owner there are lead free beaches and a very large bushy area that is part of the Briars that is also off lead. We booked this amazing house for our family over the long weekend. 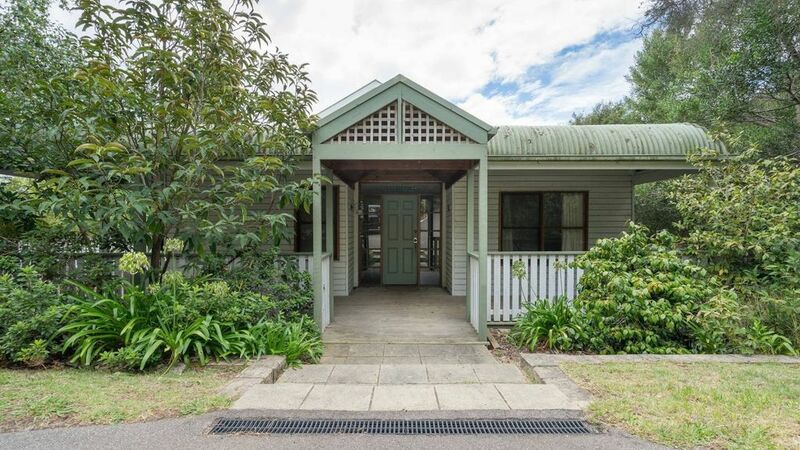 It is a wonderful house in a peaceful part of mount Martha, the house is very clean and the kitchen very well set up with ample plates, platters,cutlery ,cookware etc. The option of not having To bring linen and towels made the getaway a breeze with kids, and the boogie boards and beach toys left by the owner was an added bonus. The village is a beautiful 15 minute walk through bush land on a wooden Boardwalk and the beach is also as close, being a bay beach it is a safe and a wonderful way to spend the morning with the kids and the dog. The owner tim was fantastic to deal with and nothing was too much trouble. The backyard is huge and tranquil, and allows room for a game of soccer or shuttlecock as well as room for a picnic and grass for the dog to run. I would not hesitate to return to this beautiful oasis and can not rave about it enough...what a wonderful sanctuary, all so close to Melbourne. We enjoyed our stay for 10 days at the Mt Martha 3/4 Beach House, it is a large property that is close to every thing (Local shops are 5 min away and Mornington is only 15 minutes away). The nature reserve behind the house has a board walk through it which is very pleasant to walk along. The Owner was very pleasant to deal with.